Microsoft Dynamics 365 for Talent helps organizations strategically attain, empower and optimize their talent, to achieve high-impact, sustainable business results. With Microsoft Dynamics 365 for talent organizations can design a high-performance, collaborative experience across the entire employee lifecycle. Reimagine business processes with a cloud, mobile, people-centric approach that utilizes business insights to innovate talent recruiting, ignite employee success and drive operational excellence. Dynamics 365 for Talent: Attract helps your organization collaborate with recruiters, improve the candidate experience, and hire the most talented people. Dynamics 365 for Talent: Onboard empowers you to improve workforce engagement, establish important connections quickly, and ensure talent success. Streamline collaboration with recruiters and use centralized candidates profiles to easily share their information in order to make smarter hiring decisions. Ensure candidates can learn about your company and apply for any open role easily with an accessible portal that provides guidance and transparency. 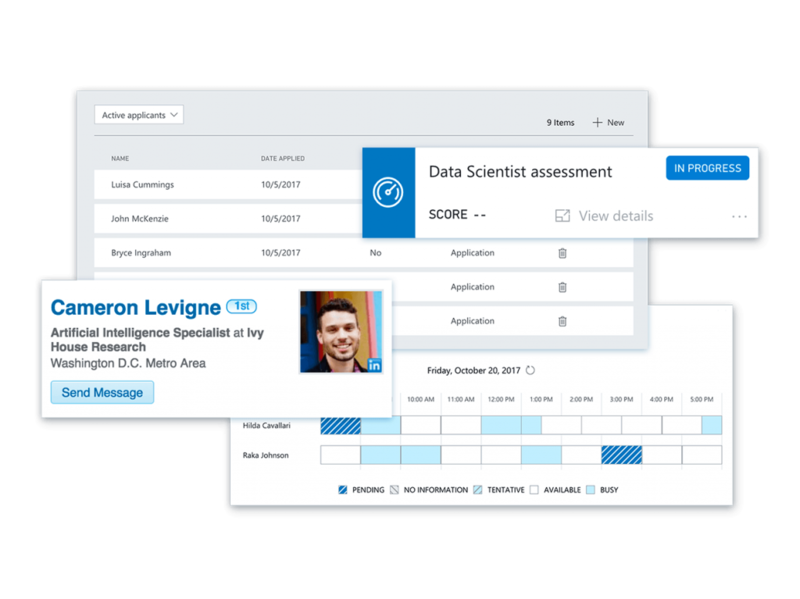 Build high-performance workforce by finding the best talent, streamline the hiring experience with automatic interview scheduling and simplified feedback, and enable hiring managers to access candidates profiles, assessments tools, interviewer assignments. Highlight the best candidates, get insights on skills, competencies, and interview feedback. 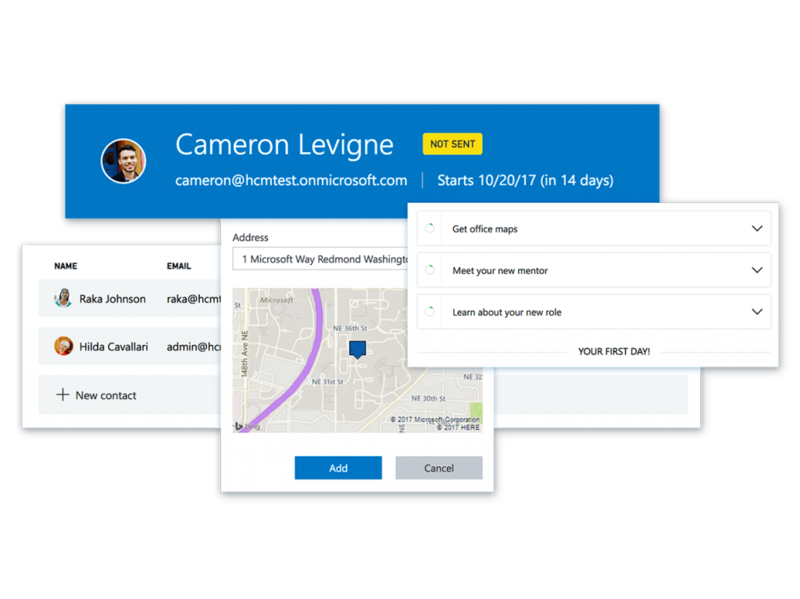 Welcome new team members with personalized onboarding guides. Get your new talent excited and improve engagement. Let your employees focus on impactful priorities with clearly defined roles, and objectives. Offer a centralized location for company information, training resources, organization charts, and tips to navigate departments. Make sure that team members establish important cross-functional connections with accessible detailed contact information and team details. Cross-functional team members can contribute resources and add tasks within onboarding guides to ensure they have everything they need for their new role. Easily replicate successful onboarding experiences with the ability to save guides as templates for specific roles. Drive transformative business results and improve onboarding experience by providing feedback.